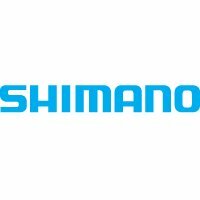 The Shimano E6090 10-Speed E-Bike Chain Sil-Tec chain is specifically made for bikes with Shimano STEPS e-bike single chainring drivetrains. Heavy duty E-bike chain designed for the added torque of the Shimano STEPS drive unit. For single ring chainset use - not suitable for a double or triple chainset. Shimano's Sil-Tec surface treatment technology (PTFE plating) on the inner and outer links makes this chain smooth running and increases durability.